Going green is a lifestyle choice. As people are becoming more and more aware of the importance of keeping our planet safe and improving their lifestyle by investing in greener products, the mattress industry understood how to take advantage of this situation. Choosing a natural mattress brings a lot of benefits to a sleeper. First off, there’s the logical choice of opting for a bed that doesn’t contain any chemicals, because nobody wants to sleep on a toxic product. While there is no concrete evidence of the negative impact that inhaling mattress chemicals or having them come in contact with your skin can have on the long run, people choose to avoid these chemicals altogether. Then, there’s the peace of mind that you have exact information on the provenance of the materials used in the construction of the mattress. 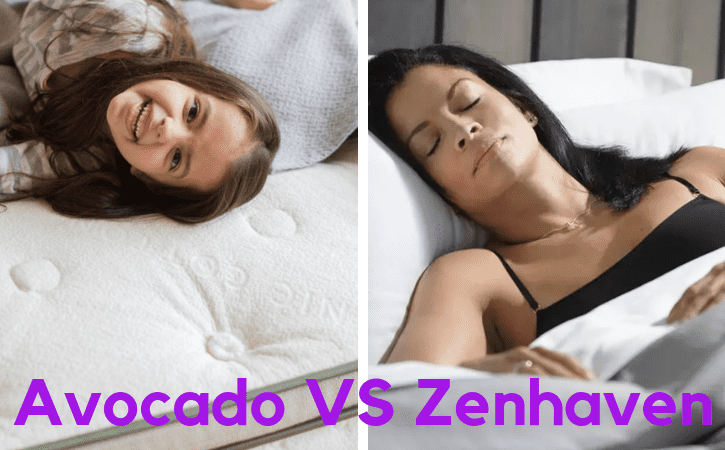 Today’s comparison features two of the market’s most promising natural mattresses: the Avocado Green and the Zenhaven. While they are both made from natural materials, there are noticeable differences in the construction technique of each of them. 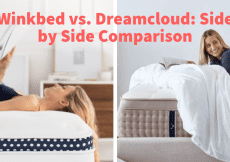 If the idea of sleeping on an all-natural mattress is tempting, read on to discover which of these two champs is best suited to your sleeping style. Plush or medium-firm depends on the side chosen. 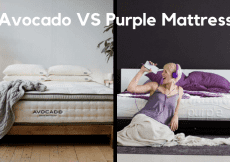 If you opt for the standard version of the mattress, without the added pillow top, the comfort layer of your Avocado Green will be comprised on two inches of natural Dunlop latex. This material is very bouncy and pleasant to rest on, providing comfort where it’s needed. The material is naturally cool, which means that the odds of you waking up sweating in the middle of the night are minimal. Even more, the layer has small holes to allow airflow and heat dissipation. The core of the mattress lies in its eight-inch layer of individually wrapped coils. As we’ll explain in another subsection of this article, the coils are divided into three separate support zones, to provide more sustainability for regions that are harder to accommodate. Depending on the size of the mattress chosen, you will get a different number of support coils (the Queen version has 1.130 coils) that are made from recycled steel, to support the all-natural state of the mattress. Beneath the innerspring layer lies one more inch of natural Dunlop latex. 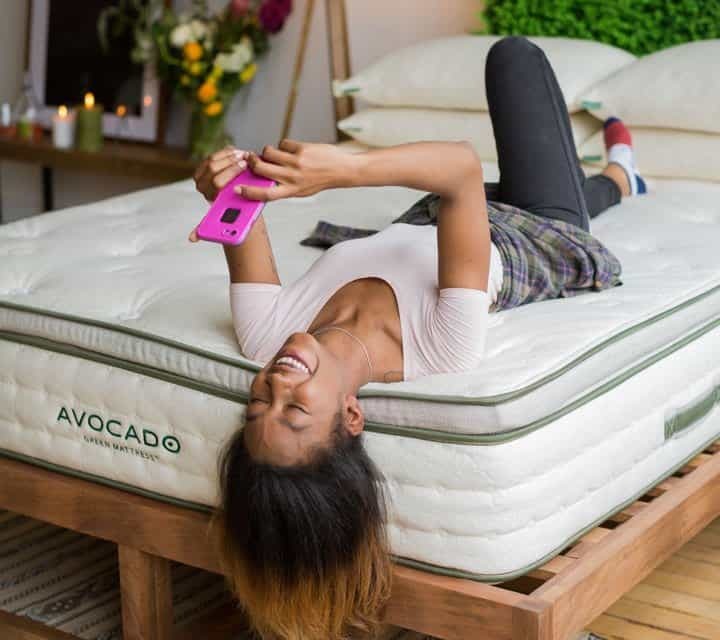 This is a smart move on behalf of Avocado, as the coil layer now has additional support and won’t rest directly on the base of your bed. The firmness of a mattress is often the decisive factor in a purchasing decision. Since you’ll be spending a lot of time sleeping on your new mattress, the firmness choice determines the pressure point relief that’s expected depending on your favorite sleeping position. The firmness of your Avocado Green will depend on whether you’ve chosen the pillow top or decided to stick with the standard option. Without the pillow top, the mattress will have a firmness rating that varies between 6.5 and 7, depending on your weight and sleeping preferences. If you want a plushier mattress, the added pillow top will result in a mattress firmness of about 6. A good mattress will create a combination of layers that are quick to respond to pressure, in order to facilitate nocturnal movements. We often like to compare a slow responding mattress to the feeling of moving around in quicksand. Because of the combination between Dunlop latex and innerspring coils, the Avocado Green has a quick response to pressure, meaning that transitioning from one position to another can be done with great ease. So, let’s see how the Avocado Green feels like both with and without the pillow top. If you decide to go with the standard version, you will sleep on a firmer mattress. Back sleepers can rest assured that there won’t be any noticeable pressure points in this position, as the comfort layer made of latex does a good job in distributing your weight evenly and filling in the gaps as not to put any strain on different parts of your body. As you roll over to the side, you will begin to feel pressure accumulating in the areas specific to this position: the shoulders and the hips. This indicates that the standard Avocado mattress may not be the wisest choice for career side sleepers. However, sleeping on your stomach will reveal a great deal of relief. Since the mattress has a buoyant lift, your hips won’t sink into its surface and your spine will stay aligned, as God intended. Let’s see how the mattress feels with the added pillow top. And we’ll start off by mentioning that there is a noticeable difference for those who like to sleep on the side. Even if the latex and coil layers do a good job in providing support, the added pillow top will add more cushioning and better pressure point relief. Back sleepers will fell supported even with this plushier version of the Avocado, as the additional latex will cushion the lower back area and make them feel an added level of comfort. Stomach sleepers can also rest assured that their spine will stay rather aligned, but the standard version is a much better choice if you spend 80% of your nap time lying face down on your mattress. 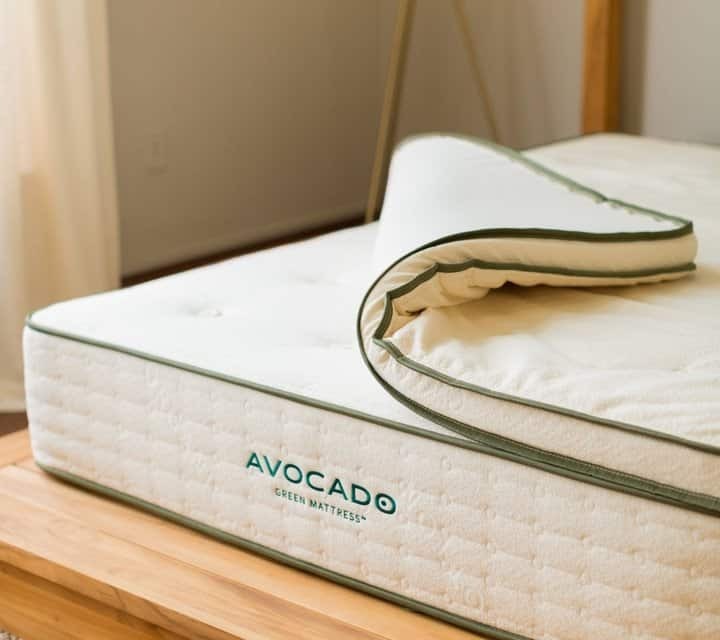 As we’ve previously mentioned, the Avocado Green mattress is divided into three separate support zones, creating a system that’s designed to support your shoulder, lumbar and pelvic area. Consequently, the coils in the pelvic and shoulder region are softer, while the lumbar area is firmer. While this is a very smart move, it’s surprisingly rare to find a mattress that provides such customized support. 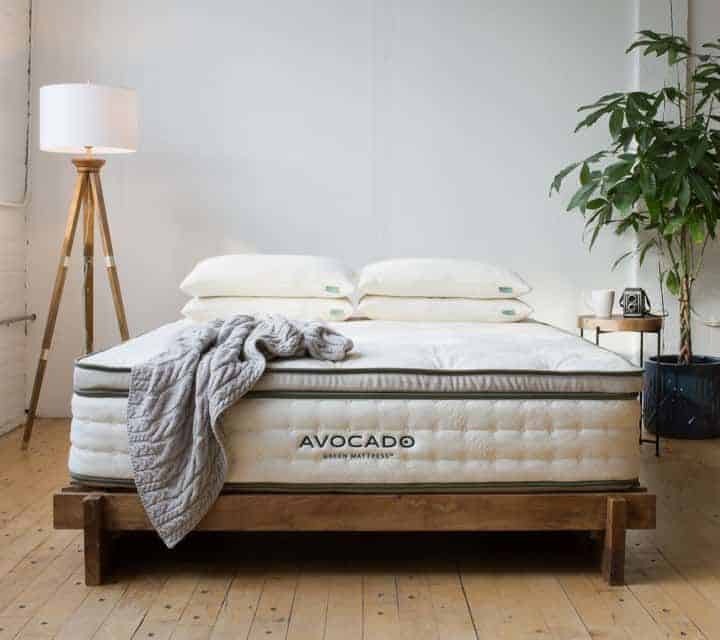 If you want your Avocado Green mattress to be firmer, you can choose the additional pillow top, which will add a couple of hundred dollars extra to the price of the mattress. However, if you are a side sleeper and need every bit of plush comfort you can get, the pillow top is a very wise purchase. It adds two more inches of latex to the combination, creating more support, more comfort, and more bounciness. 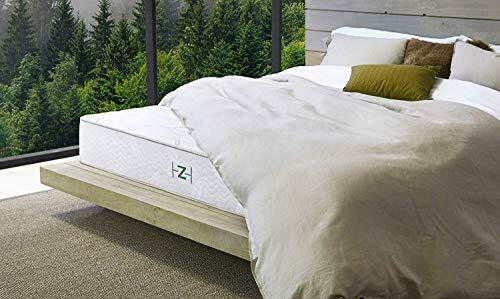 Much like the Avocado Green mattress, the cover of the Zenhaven blends organic cotton and New Zealand wool, as this is a popular combination for manufacturers that want to deliver a natural cover to their customers. You already know that each of these two fabrics has interesting properties that combine moisture wicking, breathability and a feeling of softness. The cover also features a sewn-on embroidered label that specifies the organic cotton choice. If you sleep with the plush side up, then the comfort layer of your Zenhaven will be comprised of 1.5 inches of Talalay latex. We’re always fans of mattresses with comfort layers made from latex, as the material is durable, bouncy and has excellent contouring properties. The main characteristic of this comfort layer lies in the five support zones that result in firmness where you need it and allows sinkage to support the heavier pressure points. This particular compression layer will give the mattress that nice bouncy feeling that all fans of traditional mattresses will love. This layer also doubles as a support for the softer latex layer that lies above it, allowing your body to feel comfortable in all sleeping positions. The three inches of Talalay latex above is doubled by an identical layer positioned here, which acts as a transition zone between the base of the mattress and the other layers above it. If you flip over the mattress to its firmer side, this becomes the support layer of the mattress. Depending on which side of the mattress is facing up, this can either be the firmer comfort layer of your Zenhaven or the base of the mattress. When acting as the base, this block of gentle firm latex gives the mattress shape, stability and durability. Alternatively, it’s 1.5 inches of pure comfort for people who need more support and prefers a firmer bed. Because this is a flippable mattress with dual firmness options, we’re going to talk about the firmness of each side. Just as we’ve discussed in our past reviews, it’s important for everyone to keep in mind that the firmness of a mattress will be felt differently by people who have varies sleeping habits and sport different body weights. As tests have shown, the plush side of the mattress can be rated in between 4 and 6, while the firmer side is about 6 to 7.5. What this means is that the mattress is versatile enough to support different sleeping positions and a wide range of customers will find comfort in one of the two mattress sides. To properly discuss the feel of a mattress, we must analyze the pressure map of different sleeping position on both the plush and the firm side of the mattress. Let’s start with the soft one. Pressure immediately reveals the bounciness of the latex that’s used in the construction of the mattress. Back sleepers will feel highly supported because the soft latex immediately supports the spine and relieves pressure points in the key area of the body. This soft side of the Zenhaven won’t give you the “on top” of the mattress feel, but sinkage is still comfortable enough for you to enjoy a healthy sleeping position. Since the Zenhaven is a flippable mattress with a softer side, we expected a lot of pressure point relief when sleeping on the side. However, there were noticeable pressure points especially in the shoulder area, which indicated that this might not be the bed firmness choice for a side sleeper. Those of you that like sleeping on the stomach should know that there is a little bit of pressure felt in the chest area, but it’s nothing too alarming. Also, the soft comfort layer pushes your hips upwards, allowing the mattress to adjust your spine’s position. Now let’s see what happens when you flip the mattress over to the firmer side. This particular side will accommodate back sleepers better than its plush counterpart, as there are fewer pressure points felt. Also, due to the density of the comfort layer, switching positions is a lot smoother. Side sleepers will have the same problem on both the soft and firm side of the Zenhaven. There is pressure felt in the shoulders and hip areas. While not disturbing at first, several nights of sleeping in this position may lead to aches. Finally, stomach sleepers will enjoy this side of the mattress much more than the other one, as the firm comfort layer doesn’t allow the hips to sink into the surface of the mattress. 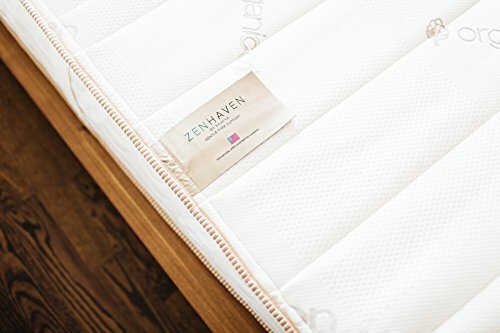 The Zenhaven is another mattress for people that are having a hard time choosing between a soft and a firm bed. The construction of the Zenhaven is pretty much mirrored, so you get a softer comfort latex layer if you sleep with the plush side up, and a firmer latex layer should you choose the harder side of the mattress. Of course, the feel of the mattress will be different depending on which side of the mattress is facing up, but the different levels of firmness will surely have every sleeping position covered. 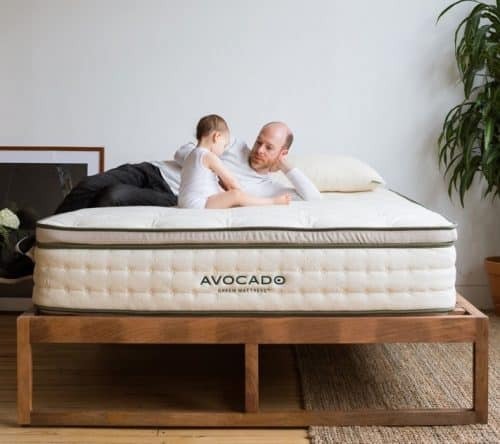 Because it’s an all-green mattress, the Avocado will cater to the tastes of a very large audience. Those of you who find the off-gassing of a mattress disgraceful will love the combination of natural materials that are chemical-free and therefore don’t eliminate any nasty odors. It’s also a great option for people who love a hybrid mattress that brings together innerspring and latex, for additional support and pressure point relief. 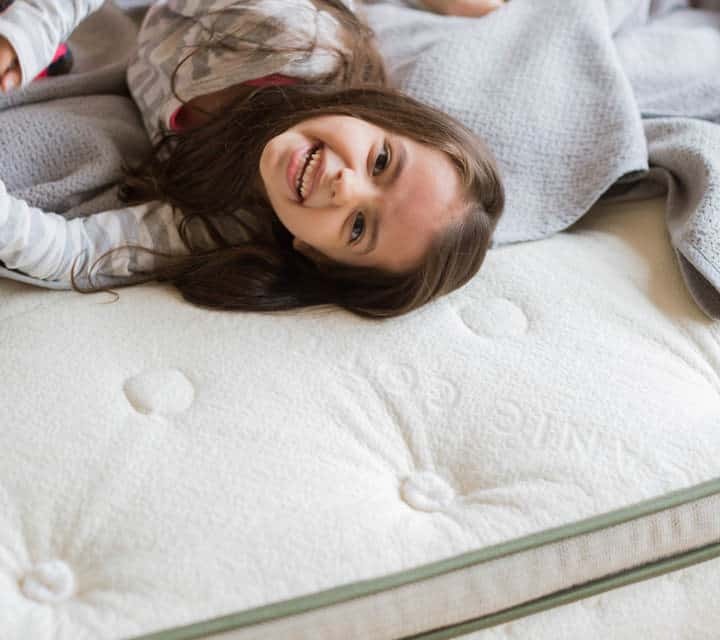 Because of its three-zoned support system, the mattress is also suitable for people who carry a little bit of extra weight and would benefit from the tailored support in the pelvis, shoulder and lumbar regions. If you are ever unsure about which firmness options are best for your need, the Zenhaven eliminates the need to choose. This dual-sided mattress has a mirrored construction that dedicates one side to people who want a softer mattress, and the other one to those who prefer something firmer. 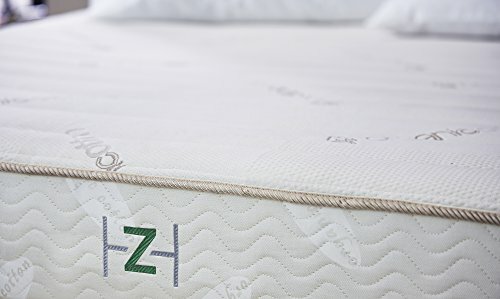 It’s also a mattress for people who want a natural product, as theZenhaven is organically constructed all the way from the top cover. Latex is one of the most durable materials used in the construction of a mattress, and the Zenhaven has plenty of latex to spare. This makes it one of the most durable mattresses you’ll ever own. Ultimately, it all boils down to finding out which mattress is best suited for your need and personal taste. 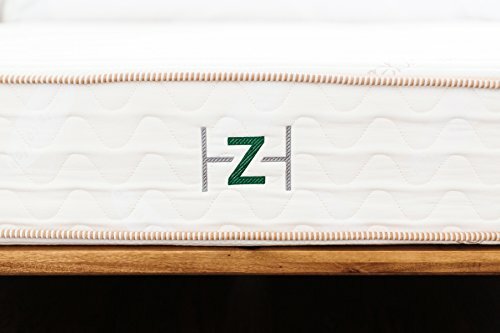 What we can do is vouch for the quality of both the Avocado and Zenhaven mattresses, as being two of the all-natural mattress industry leaders. What’s left is for you to compare the performance of each and see if it meets your priority list, but also your budget. And never forget that is things go south, there’s always that generous return policy to take advantage of. The Layla vs Bear Mattress - The Memory Foam Battle!